Day 1. 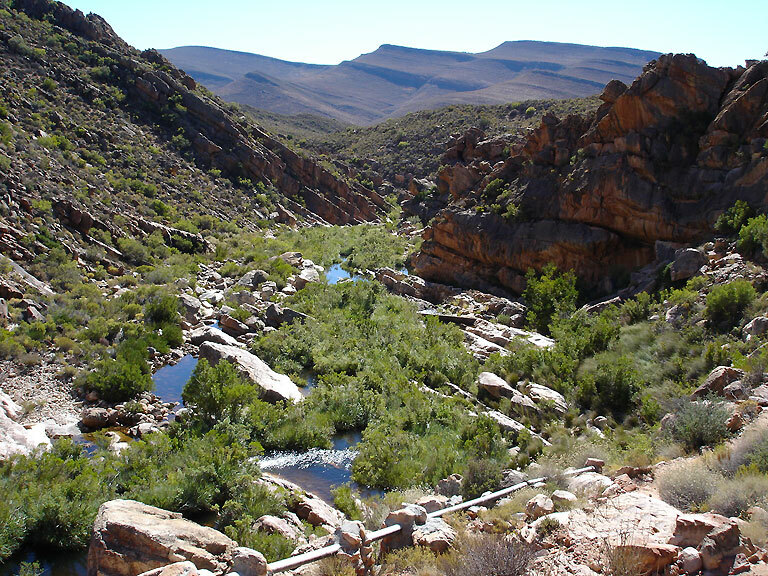 Arrive in Clanwilliam by 12h00 where you will be met by a Cederberg Heritage Route representative. 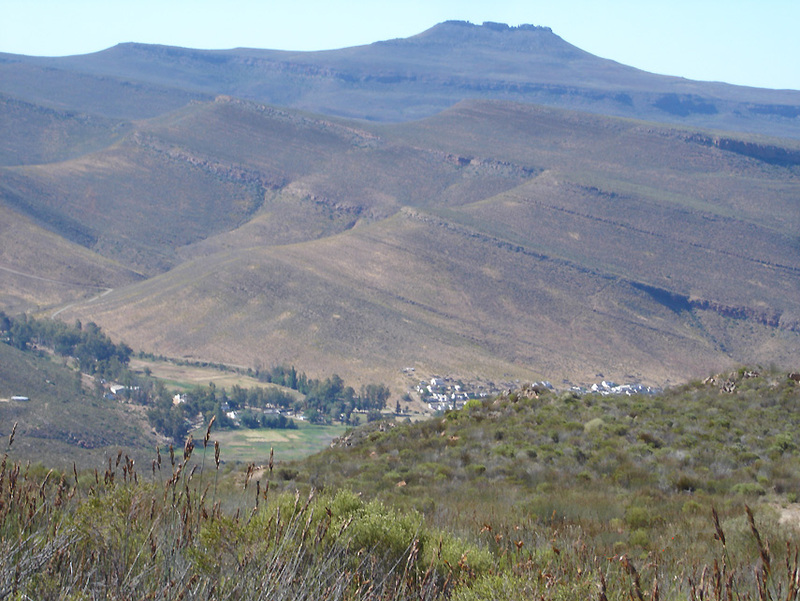 After a light lunch at the Yellow Aloe Coffee Shop you will be taken to park your car at the Cedarberg Travel office on a farm outside the town and then you will be transported up to the top of the Pakhuis Pass. From there, at about 2pm, you will take the Donkey Cart Trail to Heuningvlei (about 12km, 2hr by donkey cart or 2½-3 hours walk, some 250m uphill and 300m downhill, rating 2A. The track is quite rough and the donkey cart is not a very comfortable vehicle, so be prepared for a bumpy ride.) NOTE ALSO that the donkey cart track is subject to serious erosion during heavy rain storms, so it may not be suitable for donkey carts to carry passengers, so you may have to walk. Please check when making a booking. 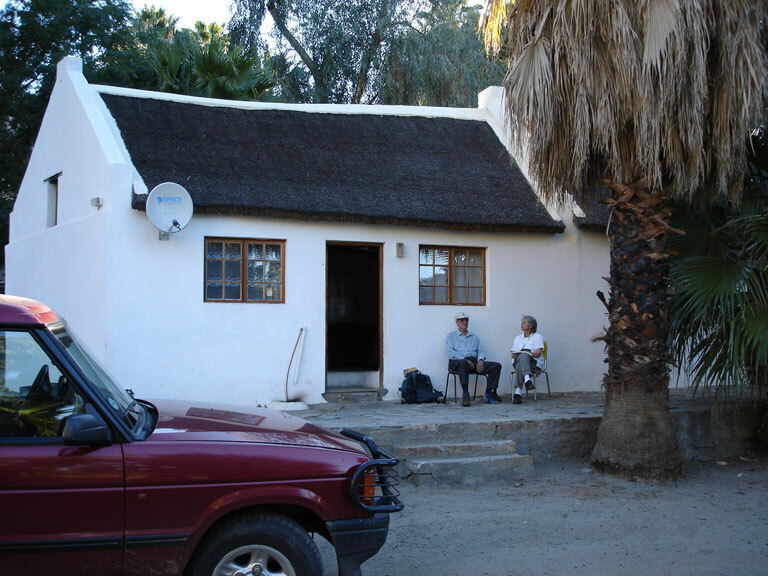 In Heuningvlei you will overnight in a guest cottage or the Heuningvlei Lodge on a DBB basis. Day 2. 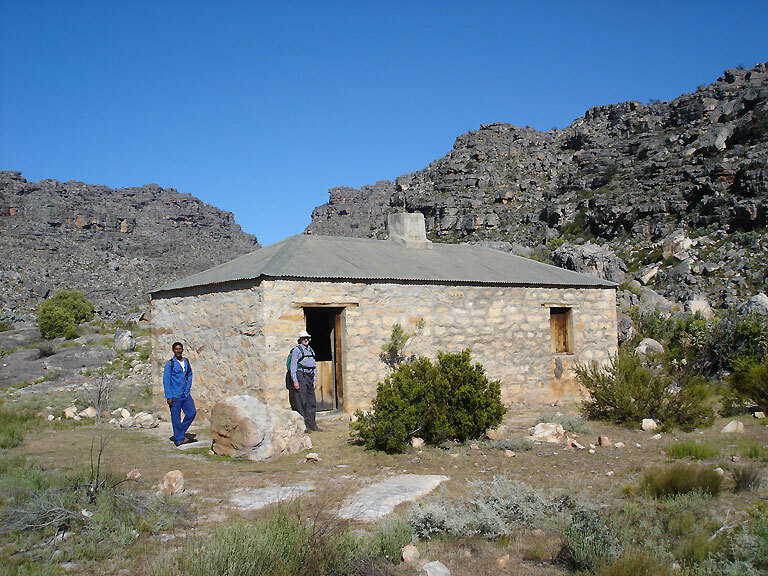 Escorted day hike of about 16km and 7-8hr up to the Boontjieskloof Hut, in the heart of the Wilderness Area, and then down to Grasvlei and Brugkraal (climb about 300m and then descend about 250m, Rating 3B). Overnight in the Brugkraal guest cottage, DB&B basis. Day 3. Escorted hike of about 12km and 7hr down the valley of the Grasvlei River, via the small villages of Grasvlei and Agterstevlei, and then along the Tra Tra River through Sas se Kloof to Wupperthal (Rating 3B). 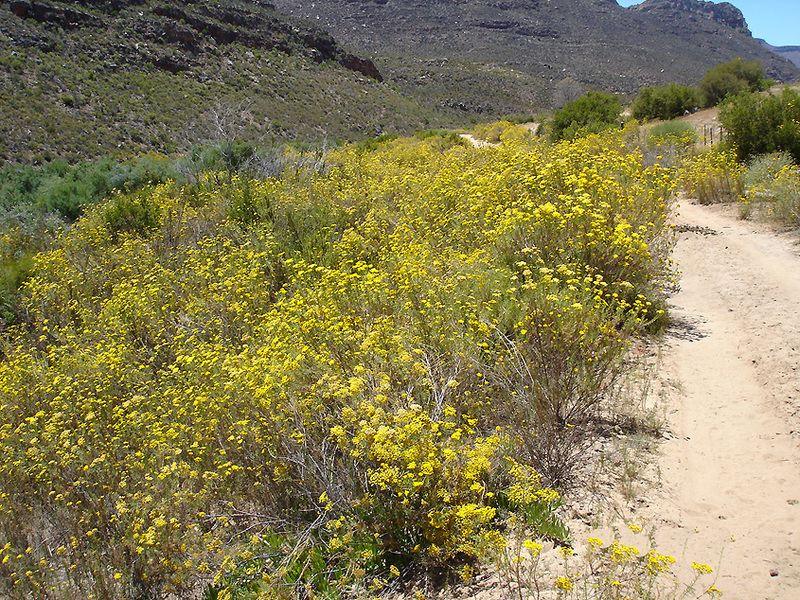 From Brugkraal to Grasvlei (about 2km) the route follows an easy path through attractive countryside. Beyond Grasvlei one walks through the veld without a path for about 3.5km, until the route joins the gravel road heading for Agterstevlei. 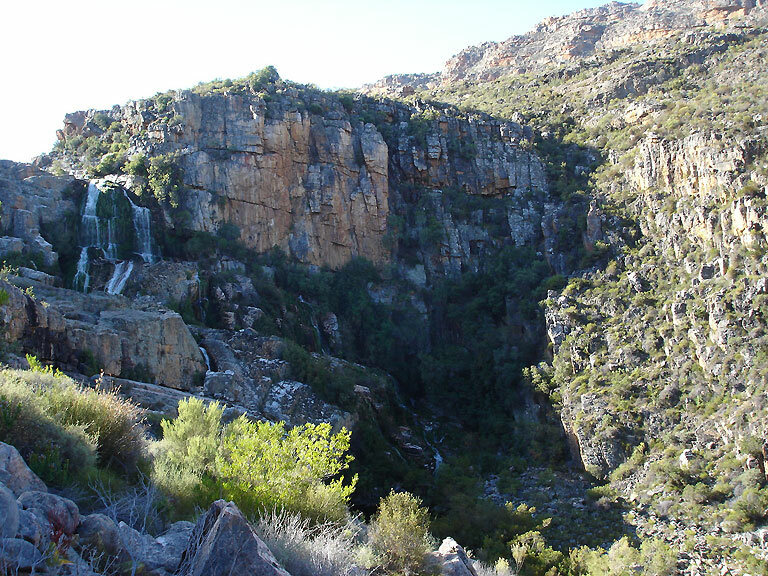 The route runs through the veld, between the road and the cliffs above the river on the eastern side, and then crosses the river at the concrete road bridge. Along the way the Guide will make a short detour to a good viewpoint for the first waterfall. After crossing the bridge the route makes a short detour back up the river to the second waterfall where there is a big pool for swimming if the weather is warm, before returning to join the road at the bridge. 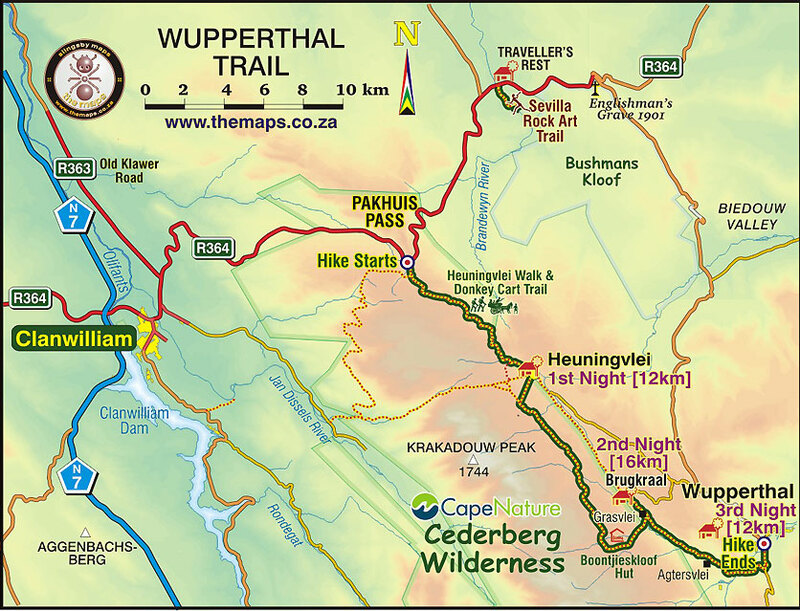 The route then follows the road for about 2km to a point beyond Agterstevlei where it leaves the road and goes through the veld to ford the Tra Tra River and join the path through to Wupperthal. Overnight in a guest cottage in Wupperthal, DB&B basis. Optional Extra Day/Night at Heuningvlei available on this trail. Escorted day hike from Heuningvlei. 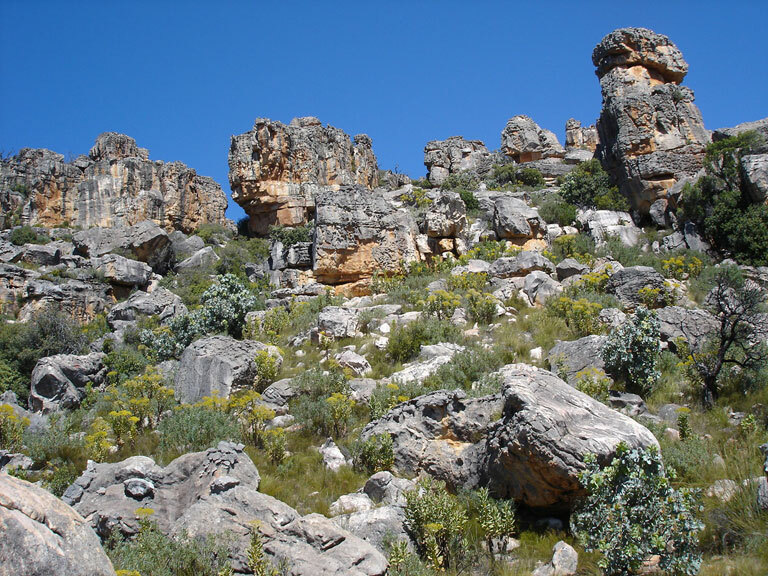 Either climb the spectacular Krakadouw Peak (a strenuous 8hr hike of about 12km in total, climbing 900m and then descending again, (Rating 4C) or do a circular, relatively easy, scenic day hike of 10-12km in the hills to the east of Heuningvlei to a lovely pool for swimming (Rating 2B). To book or request more information on this trail complete this form.